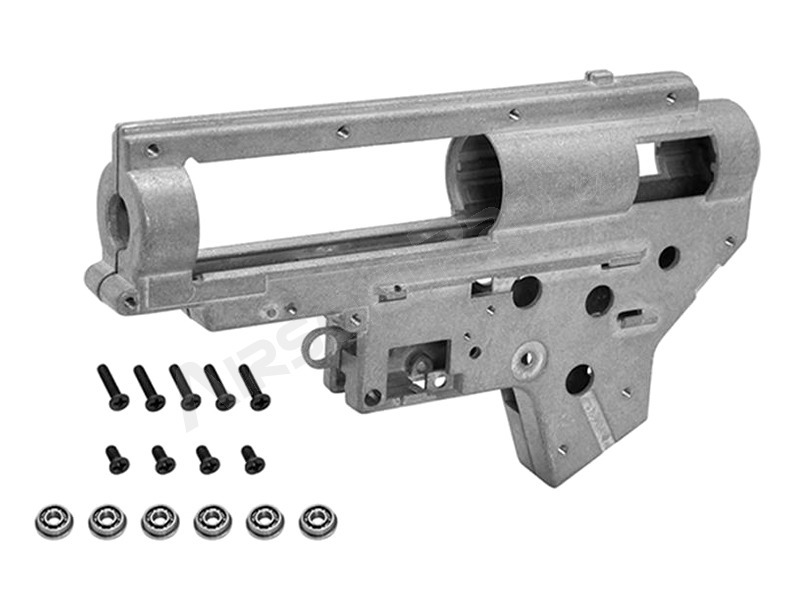 Gearbox version 2, for MP5 / M4 / G3, etc. Made of metal alloy. The package also includes 8mm ball bearings and screws. Weight 300g.